​James joined Southampton General Hospital as a Consultant Cardiologist in July 2011. He has been the visiting NHS consultant at Lymington New Forest Hospital since November 2011, where he does NHS clinics. He is happy to see clinic patients at either Southampton Spire or in Lymington. James is a trustee of Wessex HeartBeat charity, which supports Wessex Cardiac unit at UHS. James is also the Administrative Partner for Wessex Cardiology. His main specialist area of interest is coronary intervention (treating the arteries that supply the heart). He has particular interests in: complex intervention and chronic total occlusions (longstanding blockages) for which he set up a service at Southampton. He specialises in radial intervention (doing procedures via the wrist, which is often preferred by patients). He regularly does these procedures at University Hospital Southampton (Southampton General Hospital) where he is regularly on-call for the regional heart attack service. He also has an interest in renal denervation (RDN) techniques to treat high blood pressure (hypertension). He originally obtained exposure to this in London, where some of the first cases were done in trials. He has now established a service at Southampton, the first in Hampshire, where he has done twelve cases. He is currently the Principle Investigator of a renal denervation study (called WAVE IV) using externally delivered ultrasound treatment to lower blood pressure. His other cardiology interests include general cardiology, echocardiography and permanent pacemaker implantation. James also has an interest in delivering cardiology services in the community and delivered cardiology clinics in a GP surgery in Porchester, Fareham from October 2011 to January 2013. He was an Honorary Consultant at Salisbury, where he did procedural lists twice a month from 2011-2014. James has a strong background in Medical Education and spent a year as an Education Research Fellow at the Royal College of Physicians in 2003, where he was involved in the development of new assessment methods that are now used for doctors in training. He has taught as faculty for the Doctors as Educators programme since 2003. He has an interest in the use of simulators to train cardiologists and remains involved in this at national level. He is published in education and regularly peer reviews education papers. He remains very active in medical education, is a Wessex Educational Supervisor and a representative on two national education committees. With a British Heart Foundation Studentship grant he undertook basic science research from 2004-2007 with Professor Sir Salvador Moncada’s group at University College London. This led to the award of a PhD in Cell Biology. He studied the role of mitochondria and reactive oxygen species in cardiovascular aging and disease. He has also been involved in clinical research, which has been presented and published at international meetings. James actively contributes to the coronary research group at Southampton, regularly participating in clinical trials. Outside of medicine James enjoys spending time with his wife Olive and two young girls Annabelle and Rebecca in Lymington where they live. He grew up in Cowes (IOW) and has a lifelong love of sailing. He is an experienced yacht racer having competed in numerous events such as the Fastnet, Transatlantic and Sydney-Hobart races. He now enjoys getting on the water when time allows, although it is fair to say he is probably past his best days as a bowman! He regularly enjoys cycling, hill walking (having trekked in Afghanistan, Pakistan and Nepal), skiing and collecting wine. To see Dr Wilkinson's media coverage including newspaper coverage, television and radio interviews please click here and search for relevant news coverage blogs. ​To see Dr Wilkinson's BBC South Today television interview on simulation training please see here. To view Dr Wilkinson's patient satisfaction data please click here. Certificate of Excellence awarded for patient feedback in 2017. To view Dr Wilkinson's procedure data please click here. To view Dr Wilkinson's University Hospital Southampton NHS profile please click here. 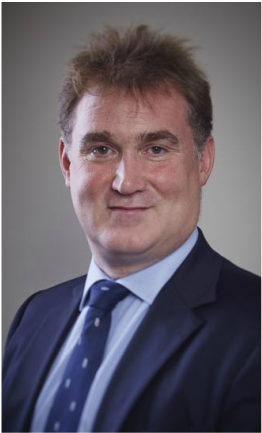 To view Dr Wilkinson's BUPA profile please click here.